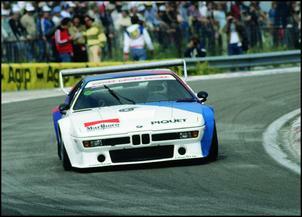 The story of the wonderful BMW M1 - a purpose-built racer. BMW whole-heartedly committed itself to motorsport during the 1970s. The early ‘Batmobile’ CSL indicated the German manufacturer’s determination, but it was Porsche that always managed to come away with the greatest racing success. The all-new BMW M1 was built to change that. The M1 (coded E26) was originally put into development in 1975 and was intended for release in early 1978. Unfortunately, the M1 didn’t arrive on time and was hampered by last-minute motorsport rule changes. The M1 was a very sophisticated vehicle and BMW’s Motorsport division did not have the design and construction resources that were necessary. As a result, the task was farmed out to an existing specialist vehicle manufacturer - Lamborghini. Lamborghini was severely cash-strapped at the time and was rescued by a sizeable financial investment from the Italian government. It is reputed that this money was intended to carry out the M1 contract but much of the money was splurged elsewhere... Only a handful of prototypes got up and running and there was no chance of meeting the planned 1978 production date. So BMW cut its ties with Lamborghini. The M1 project was then split into three groups – Italian company Marchesi took care of the chassis, Ital Design designed and fitted the bodywork and Baur (who had worked with BMW on the 3 series cabriolet) fitted the interior and did the final assembly. 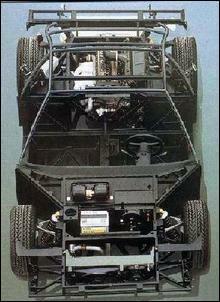 Marchesi produced the steel tube space frame chassis that was designed by Lamborghini. The space frame chassis – which provided immense torsional stiffness - was built around a mid-mount engine/rear wheel drive arrangement. It incorporated adjustable unequal length wishbones with coil springs and adjustable Bilstein dampers. A 23mm front and 19mm rear swaybar was also part of the initial Lamborghini design. Big disc brakes were part of the package - 11.8 inches at the front and 11.7 inches at the rear. Bosch ABS was also fitted. The brakes fitted behind unusual looking 16 inch Campagnolo alloy wheels wearing 205 and 225/50 tyres. M1 – The First Mid-Engine BMW? The M1 was not BMW’s first effort at a mid-engine vehicle. 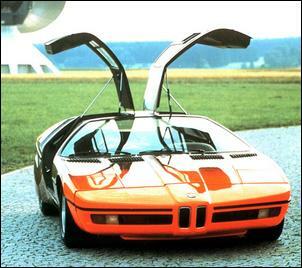 In 1972, two BMW concept vehicles were built using the ‘MR’ platform. They employed 2.0 litre turbo engines and featured gull-wing doors. It is said various some design queues from these concept cars were carried over to the M1. 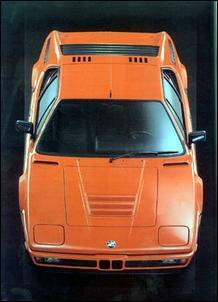 Giorgetto Giugiaro of Ital Design was responsible for the M1’s styling. Ital Design sub-contracted the fibreglass bodywork to another Italian company, before it was bonded and riveted to the chassis back at Ital Design. Pop-up headlights were a first for BMW but the car was easily identified by its trademark kidney grilles and BMW 6 series taillights. The road version of the M1 is surprisingly free of aero add-ons – there’s only a wrap-around front spoiler. 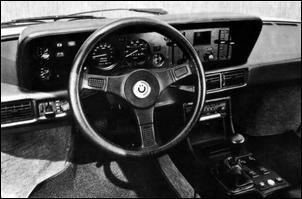 The interior used many components found in other BMW models. The M1 came standard with a black/grey interior, Recaro leather/cloth seats, a Motorsport steering wheel, air conditioning, electric windows and mirrors. There was also a reasonable amount of storage, with a luggage compartment behind the engine and another in the nose. Note that all M1s were built as left-hand drive. 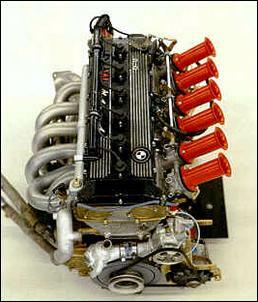 The engine was built by BMW and was based on the proven M88 3.5 litre straight six (as used in the Group 2 BMW CSL Batmobile). In M1 guise, the M88/3 engine was treated to new 9.0:1 compression pistons, longer conrods and a forged steel crankshaft. A dry sump was also installed. A DOHC, 24 valve cylinder head with 6 individual throttle bodies let the engine breathe at high rpm. A Kugelfischer-Bosch mechanical fuel injection system and Magnetti Marelli ignition helped achieve the M1’s impressive drivability. Maximum power was quoted at 277 bhp (207kW) at 6500 rpm. Torque was 243 lb-ft (330Nm) at 5000 rpm. Backing the 3.5 litre six was a close-ratio 5 speed ZF gearbox. With standard ratios, the 1400-odd kilogram M1 could accelerate to 62 mph (100 km/h) in just 5.6 seconds and ran to a top speed of 162 mph (261 km/h). Handling was said to be “vice free”. 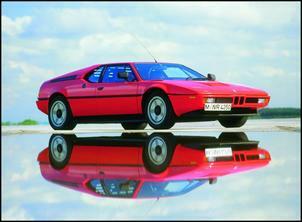 The production version of M1 was first seen at the Paris Salon in late 1978; needless to say, it caused a sensation. Production began in 1979 and the M1 was widely recognised as a race car available for public consumption – unfortunately, it was also one of the most expensive vehicles ever built. As a result, heavy discounts were necessary to shift M1s from showroom floors and it's likely BMW never made any money from the project. In total, 455 examples were built from 1979 with production trickling through until mid 1981. Of these 455 M1s, 400 were road cars (as required for homologation). 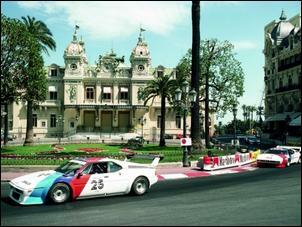 Initially, the M1 was planned to win the Group 5 World Championship for Manufacturers. However, the FIA had drastically revised the homologation regulations during the design of the M1 – FIA now required that 400 road going examples be built prior to entry into Group 5. Fortunately, the situation was salvaged by convincing the FIA to run Group 4 M1s in a one-make Procar series to support European Grand Prix events. This series began in 1979 and lasted only until the end of 1980. The M1 series comprised a grid of around 25 cars and often included Formula 1 drivers; it made for truly spectacular viewing. 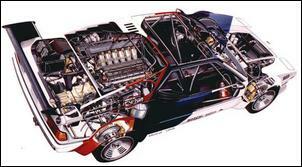 Group 4s Procar M1s were stripped versions of the road car that employed plastic windows to achieve a kerb weight of 1005kg. The Group 4 racers also used Uniball joint suspension instead of the rubber bushes used in the road car version. Custom springs and dampers, adjustable swaybars and quick-ratio steering were also fitted. Servo assistance was removed from the brakes and an adjustable bias valve was fitted. Wheels were also widened to 11 inches at the front and 12.5 inches at the rear – these requiring wheelarch extensions. A deep front spoiler and a high rear wing (which appeared during the 1979 season) completed the body package. Under the lid, the Group 4s was tuned to deliver around 470 bhp (351kW) at 9000 rpm. Slide or guillotine-type throttles were used instead of individual throttle bodies. The clutch was upgraded, gearing was altered and a ‘high lock’ LSD was essential. Not surprisingly, the Group 4 M1 could accelerate to 60 mph (97 km/h) in 4.4 seconds and reach amazing 193 mph (311 km/h). 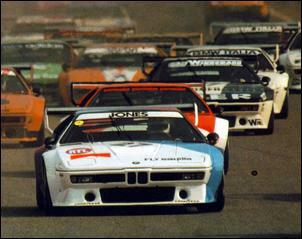 Aside from its Group 4 Procar competition, there weren’t many other opportunities for the M1 to race. However, it did fare well in endurance races such as Le Mans. 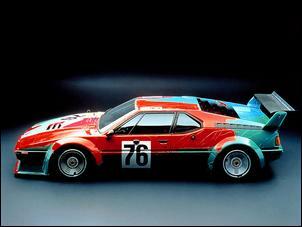 The eye-catching M1 seen here was painted by Andy Warhol specifically for the 1979 Le Mans. It went on to finish 6th overall. Although the M1 is now largely overlooked as an all-time motoring great, there’s no denying it paved the way for subsequent BMW M models. It can also be looked back on as one of the most race-oriented cars ever sold to the public. DIY knock detection - cheap, easy and very effective!